Shortly after 7 pm on Saturday, December 10, 2011, Fire/EMS units were alerted to a motor vehicle accident with entrapment in the area of Seat Pleasant Ave. and Joplin Street involving two vehicles. 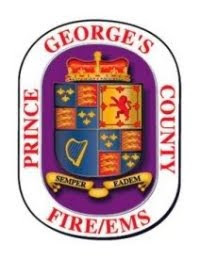 Firefighters and Paramedics from the Seat Pleasant and surrounding areas arrived on the scene and discovered a two-vehicle accident with multiple patients and entrapment. There were a total of two adult patients and four children. One adult female was transported to an area trauma center with life threatening injuries. Three children were transported to an area hospital with non-life threatening injuries. After a lengthy extrication, an adult male and the fourth child, who were trapped in one of the vehicles, were extricated and transported to a near-by trauma center with critical injuries. The cause of the crash is still under investigation.